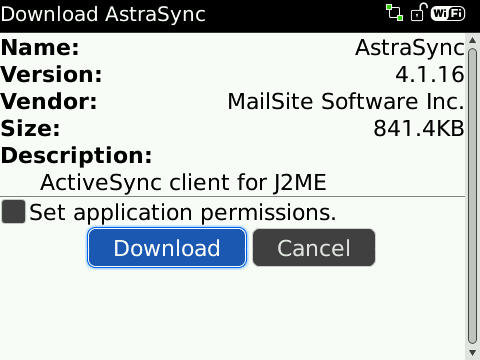 Blackberry by default sync Incoming and Outgoing mails with Outlook. 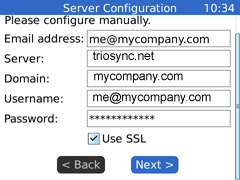 The setup is similar to the way IMAP account is configured, but with Triosync account details. To avoid data duplication, update contacts, calendar, task entries on Mobile devices with Outlook for once, and then sync them all back via ActiveSync. 3. 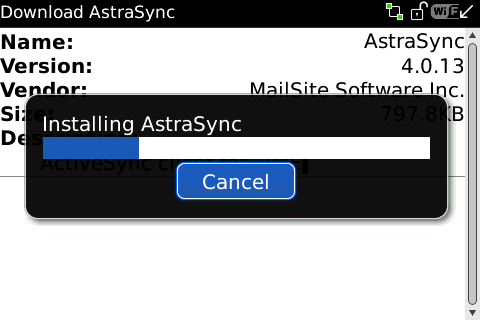 Wait while AstraSync downloads and installs. When complete run AstraSync to start the setup wizard. 4. 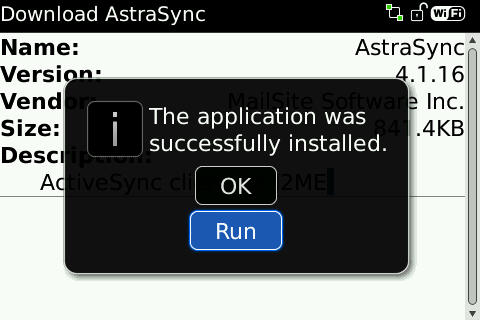 Wait while AstraSync downloads and installs. 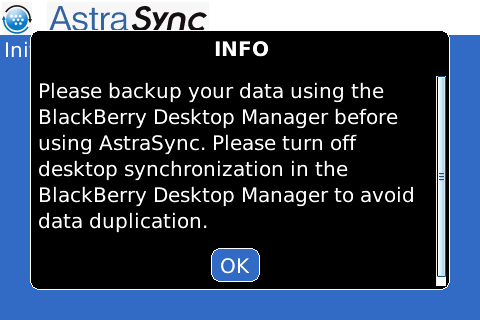 When complete, Run AstraSync to start the setup wizard. 5. 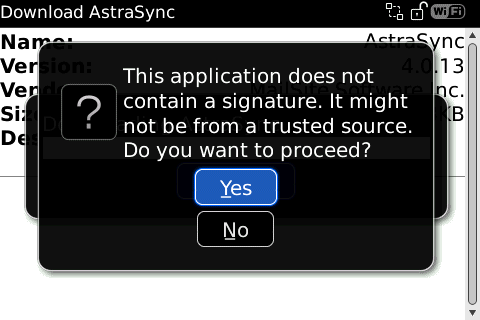 Click 'yes' to the two data access security prompts. 8. Acccept. 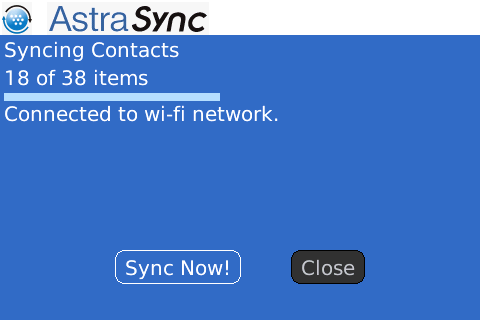 In the next window allow Astrasync to detect Network Settings. 8. 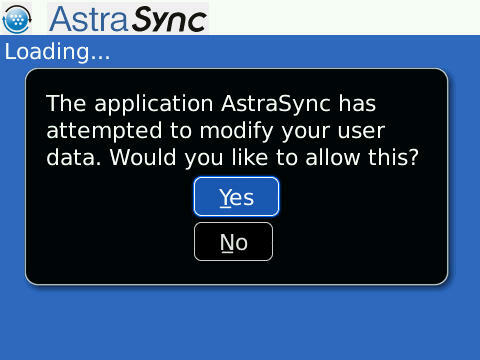 Configure AstraSync. Enter your account credentials. 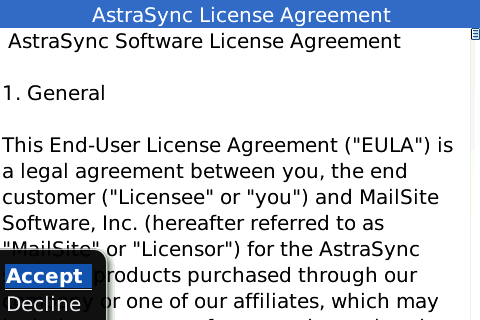 These are emailed to you by Triosync. Click Next. It will attempt an Auto Discovery. 9. When connected, it will show up folders on the server. If you have existing data on the device, update it with Outlook or backup. 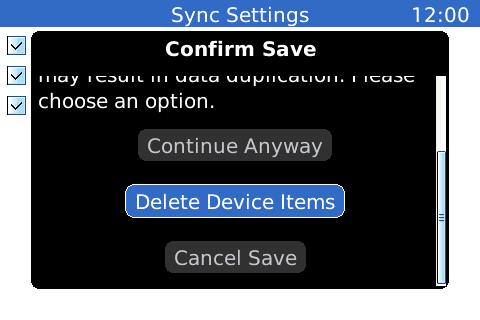 In next screen, select delete device items. 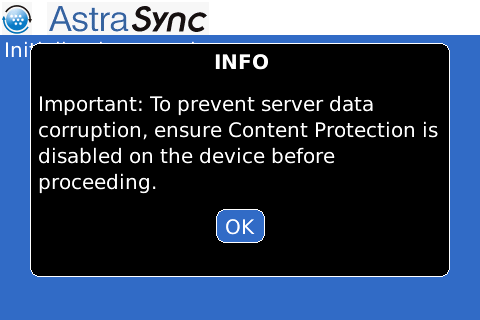 If you select 'Save' device data will be uploaded with server and might duplicate.